Jiulio Brattesani was the son of Giulio Brattesani born c 1850 in Borgotora, and Maria Domenico Ferrari. It is with great pleasure that we welcome Lia Borrotzu into the family. She has been in touch with myself, Helen, to link her line with our own. Thank you Lia. Lia is the second great grandaughter of Giulio and Maria Domenico Ferrari. Lia and myself are officially 4th cousins. Lia was born in Raynes Park in London where she lived for a good part of her life. The family then moved on to Carshalton in Surrey. 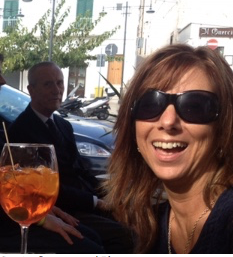 Lia has now resettled in Italy but lived the last five years in England in Charlwood, Surrey. 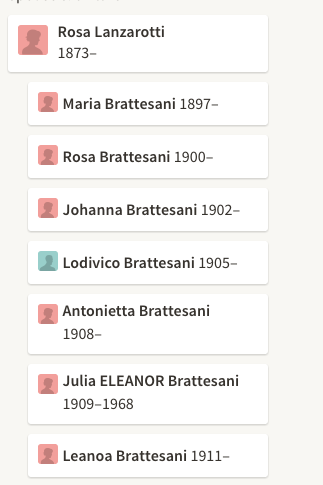 Lia’s great grandfathaer JIULIO BRATTESANI married Rosa Lanzarotti in London in 1893. 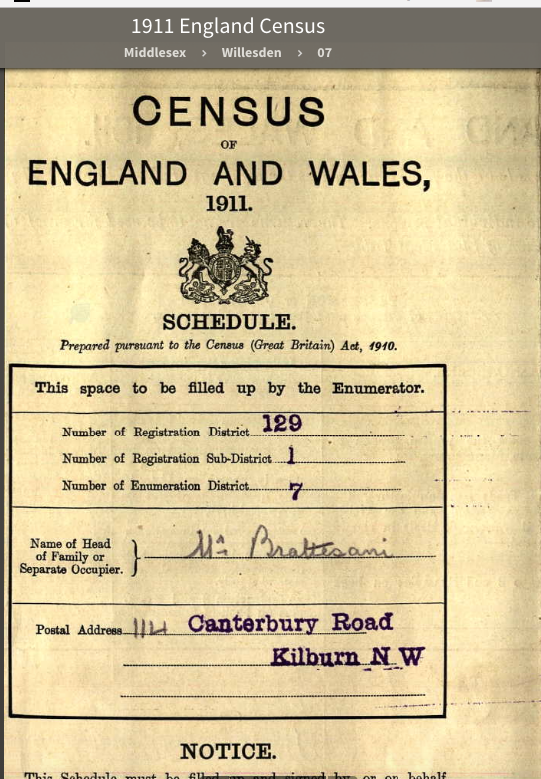 We find them in the 1911 English Census having been married for 18 years. They had in total 10 children of whom were surviving at that time. Jiulio was described as a Mosiac Layer and must have worked in the Terrazo trade in London. His wife described as a bootmaker. 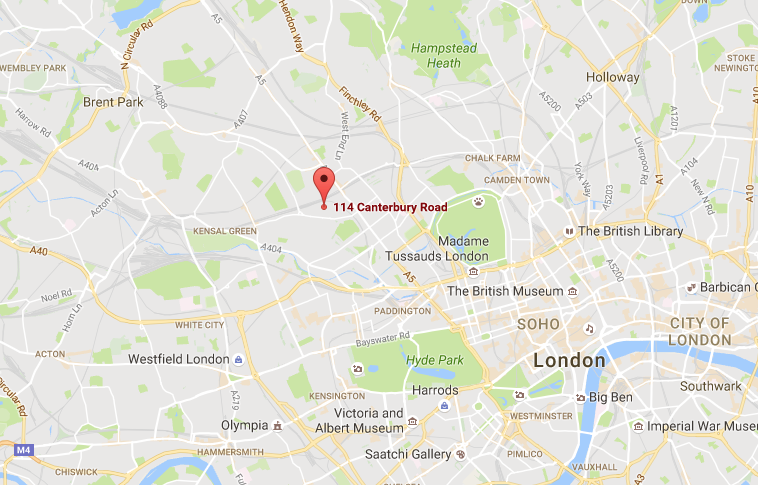 Brother Giuseppe Brattesani was living with them at the time and as we can see was described as a Bootmaker dealer. He was unmarried at the time. Juilio’s children were all born in England, the eldest Maria being a dressmaker. Lodovico and Maria we find still in London in the year 1934 residing in Tower Hamlets, Bethnal Green, London. Julia Eleanor married into the Zanrae family and headed North to Elgin. Her husband was Eugenio Zanrae and I have found one child, R. Zanrae, who was witness at his mum’s death. The family lived at 21 Young Street, Elgin at the date of her death in 1968. Juilio or Giulio died in 1931.